Want Your Child To Stay Warm And Stylish Both In Winters? Most parents are concerned about their children during chilly winters but also want them to look cute too. For those parents, these amazing kids winter hats are the best piece of clothing they can get their child! This crochet hat is special since it is a hat and scarf combined into one fabric. This scarf with pockets covers your child's head, neck, and also has pockets in it to keep their hands warm, ensuring that they do not feel cold and stay cozy! 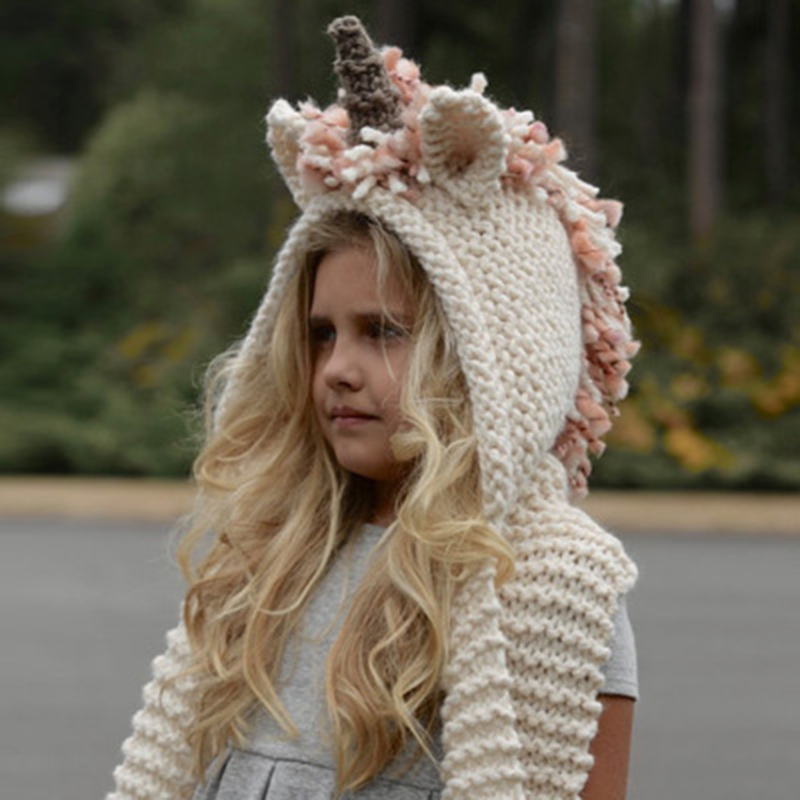 To keep them stylish, this unicorn hat has unicorn horn sewn on it that stands out and makes it look even better.